Fantasy like, though specifically avoiding Tolkien Elven. Bearers of the history of the world, rulers of the far-flung continents and creators of godly glory, High Elves, Magn’Altalar, Firstborne, and Children of the Ivory Tower; all names fitting for the oldest living race on Aloria. The Altalar, as Ailor call them, or Est’alorn as they call themselves, are the oldest and most graceful of the Nelfin races that still roam the world. The Altalar have a glorious history spanning more than 3000 years in which they ruled the known world. It is a long and proud history broken only in the past three centuries due to the calamities that befell the Allorn Empire at the break of the Fifth Void Invasion. The Altalar once ruled over all other races, enslaving them to their will with magic and creating a legendary civilization the likes of which the world had not seen since the times of the Seraph. The Altalar are the most gracious, beautiful, skilled and venerable of all the races, yet for each of their glories and assets, there are equal susceptibilities to the vices of arrogance, pride, and hubris, hidden well behind exquisite facades, masking depravity and occult callings with splendor and grace. Although the world has moved past their glory days, the Altalar continue to try and hold onto the crumbling remnants of their Allorn Empire with stalwart determination and reverence for their history that can match even Unionist zeal. Known far and wide as the most skilled craftsmen, the most alluring artists, and the most controlled and ordained martial warriors, the Altalar bring an element of charm with them in every step they take. While the horrors of the Wildering and the Void Invasion are still fresh in their memory, renewed faith and determination as well as mortal heroes carrying the charge have given the Altalar new hope that their race is not a fading one, and that they might yet one day overcome the usurping races and retake the Crown of the World. The Altalar are ageless beauty manifested. They are a tall and slim people whose physique does not degrade during their lifetime. Altalar are one of the longest living of all Nelfin races and can last up to 400 years, where only the last 80 years are spent visibly aging (Altalar older than 150 years are a special permission, see Permissions for more information). Elves retain their youthful beauty when they physically stop aging at 30 years (which is 22 equivalent in Ailor years, since Altalar start puberty at age 18). Altalar are tall—the shortest of them are at least six feet. Their faces are well-proportioned and angular and they have a set of long, pointed ears on either side of their head. Despite their tall, lanky physical structure, Altalar are by no means weak; a trained Altalar may strike an opponent with as much ferocity as an Ailor. In fact, Altalar physique seems to not dictate much in terms of their actual strength, which is more defined by their martial proficiency and athleticism than their body build. They are a sturdy race, barely susceptible to physical ailments like disease or deformation. Altalar often have long-flowing shining hair, a natural trait enforced by a culture that prizes the beauty of long hair both in men and women. There are few differences between the genders, which causes a significant degree of confusion for non-Altalar that attempt to discern the men from the women—both appear youthful and effeminate. There exist a number of physically distinct subtypes of Altalar, though these subtypes are only separate based on appearance; they are all Altalar. The most common Altalar are the Central Altalar, who live mostly in and around the Daendroc landmass, in Hyarroc but also in Teled Methen. These Central Altalar usually have golden or regular blonde hair or, in some rarer cases, dark blonde hair. Their irises are usually a light blue or green but can rarely be very light brown. Further to the west of the Daendroc landmass, usually on the western coast but also on the islands beyond the Fin’ul Straits are the Maritime Altalar. The Maritime Altalar have the same eye colors and complexion as the Central Altalar, but can frequently be seen with crimson red, midnight black, raven black or intense mahogany brown hair colors. Finally, to the far west (and north of the Dread Empire) live the Sundial Altalar, who have darker skin tones. Their skin tones can range from the brown of a Qadir, even to the darkest of a Songaskian, though they retain the same eye colors as the Central Altalar. They also have similar hair colors, with the addition of crimson brown and midnight black. Sundial Altalar often also have rounder facial features, though not so much that they could be mistaken for Songaskians or Ailor. One unique aspect of the Altalar is how they age. Altalar reach puberty later than humans, from the ages of 15-18 for women and 16-19 for men. Altalar will then grow and develop like humans until the age of 30, where development will cease. During this time, Altalar will not display signs of aging like Ailor until around the age of 320. Eighty years before their death, the Altalar will begin to show signs of advanced aging, initially with wrinkling, then the greying and eventual loss of their hair. This is usually a time of desperation of Altalar; they have remained youthful for so long that they have no clue what it is like to grow old, especially in such a rapid time in comparison to the rest of their life. Elderly Altalar make excessive use of ridiculous, tawdry cosmetics to try to retain their sense of aesthetic superiority, appearing to outsiders as humorous, and even clown-like. Nevertheless, the Altalar pride themselves in their own longevity, which they claim is a testament to their superiority. The Rings of Talea, also referred to as the Rings of Power, are a unique magically gifted ability that all Atlalar have in the Year of the Bright Star. It is a cultural practice among the Altalar for their 30th year (the year in which their 30th birthday would fall, and they officially become adults) to spend the entire year as some form of sabbatical to travel the corners of the old Allorn Empire and visit the shrines of the Inner and Outer Pantheons of the Faith of Estel. Once such a pilgrimage is completed, the Altalar will venture to the shrine of Talea, the unofficial Altalar mortal-made-Goddess who unified the Allorn Empire, to choose their patron deity. They do this by venturing into the mirrored pools of Talea, and meditate by laying in the shallow water and looking up at the mosaics that dome the temple. Once chosen, a magical ring will appear, granting them a blessing of Estel depending on the patron deity chosen. This item must always be a ring but can be seated on any finger and looks different for each Altalar. This ring cannot be removed and if somehow magically displaced, always makes its way back to the owner one way or another or dissipates into thin air and then reappears on the hand. The exact blessings of Estel are declared below. These blessings are only gained at the age of 30 and are kept as long as the character remains an Estel Worshiper. If the character was not an Estel Worshiper at the age of 30, or did not complete the pilgrimage, the Rings of Power are not acquired and can never be acquired beyond that point. If a person who already has a ring loses their faith, the ring disappears until they re-acquire their faith and re-communicate in the mirror pools of Talea. Only pure Altlar (thus not Vampire/Undead/Hellion/Possessed and other forms of religious heresy) are able to maintain their Ring of Talea. If an Altalar is anything but a purebred Altalar or a purebred Altalar Mage or a purebred Altalar Silven, they cannot keep their Ring of Talea until their heresy has been purged from their body. The blessings of Estel are only to those who stay within the confines of what is legal in the Faith of Estel. Inner Court: Ulley, Lord of Protection The Ring of Power of Ulley can protect the wielder. They do this by kneeling onto one knee, and holding up their hand with the ring while bending their head down in prayer. As soon as this stance is taken, an impenetrable dome is formed around them that is just large enough for them (and maybe a person they are kneeling on or near if they are closely hugged up to them) that protects against any physical or magical attacks while this stance is maintained. Inner Court: Ellea, Lady of Everchanging The Ring of Power of Ellea allows the wielder to shapeshift into a Familiar Animal. This Familiar Animal must be no larger than an average domestic dog, and no smaller than a small domestic cat, though can be any animal in between. This animal will look natural in all means, save for the bright solid purple eyes. Inner Court Vallea, Commander of Power The Ring of Power of Vallea allows a person to physically lift very heavy objects they would not normally be able to lift, such as produce carts, people, heavy metal objects and large boulders, though the size and weight may be no more than five average Ailor. Additionally, those who use the Ring of Vallea can break the Body Stat limit for Altalar (though still not up to Musclegod). Inner Court Sca'Elle, Master of Magnificence The Ring of Power of Sca'Elle allows the wielder to craft Nightsilver out of regular Steel and common alchemical ingredients. Furthermore, they also receive a +10 Proficiency boost to Metallurgy. Outer Court Asc'tea, Connivance of Persuasion The Ring of Power of Asc'tea allows the wielder to use Sensation Surge powers (from the Slizzar) onto any person. These Sensation Surge powers are not strictly mind control but rather making a person susceptible or having the urge to do something or feel something that is transferred by touch of the hand upon which the ring is. Outer Court Tal'Sieth, Stalwart of Guardianship The Ring of Power of Tal'Sieth unlocks the investment of Proficiency Points into the Altalar Martial Skill Proficiency, a unique Proficiency available only to the Altalar which grants combat skill in a multitude of weapons and shielding. Outer Court Ammu-loa, Compatriot of the Dead The Ring of Power of Ammu-loa can revive a dying host (preventing them from dying or becoming undead) by sacrificing a limb each time. The first limb lost is the left arm, followed by the right arm, followed by the left leg, then the right leg. Upon the 5th death, the person actually dies proper. Outer Court Cae-Maen, Martyr of Respite The Ring of Power of Cae'Maen allows the wielder to transfer pain, wounds and mental suffering from the target onto themselves in the form of sickness. For example, if a person feels sadness over a dead pet or has a deep gash wound in their arm, the wielder of this ring can heal their troubled body or mind. The sickness that is transferred depends on the severity of the pain taken away. Small wounds cause only coughing and sneezing, bigger wounds cause almost crippling sickness. The Altalar see themselves as the undisputed stewards of the world. They have weathered the storms of history and bore the brunt of the final Void Invasion, and as such believe in their natural superiority to dictate the world order. Yet this arrogance does not come from compassion or love of others. In fact, the Altalar loathe other races, and primarily see themselves as the protectors purely because they feel they have suffered the most and because they are the most capable. While the latter is intrinsically true, the Altalar often take it to the next level and dictate how others should live, and interfere with the rulings of Empires and the lives of many because they believe they know what is right. In many ways, this expresses the core of the Altalar psyche: a warranted sense of superiority, arrogance, and confidence paired with high intelligence. Practically all Altalar are intelligent, though how they end up using that intellect is sometimes dubious. 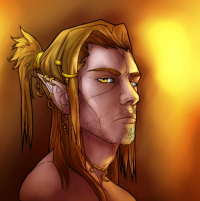 Because of their long lives, Altalar are also extremely obsessive about the individual skills, sometimes spending generations of Ailor lives to hone just one particular skill and bring it to great heights never before seen. The Altalar absolutely love intrigue and plotting. Much like the Ithanians at the court of the Grand Sovereign, political intrigue is a life game in and of itself. They will engage in attaining a measure of control and mirth in having events transpire by their designs, purely for the thrill of control and not for the actual relevance to their needs and desires. On the matter of desires, Altalar are often the most corruptible race one could find. They are prone to long life, and as such, boredom strikes them early. An Ailor might feel their life completely spent at age 90, but at such an age the Elf has not even reached the halfway point, and needs ever greater thrills to satisfy their feelings of being alive or risk becoming emotionally and physically numbed to experiences and sensation. The exact starting point of Altalar history is unclear, even to the Altalar. Historical documentation is important among the Altalar, because their history is partly what ties them to their belief of racial superiority. While these histories are often laden with exaggerations and facts sensationalised into myths, scholars of other races cannot deny how extensive and detailed the records of the Altalar are. In terms of historical narration, 3000 years of world history is loosely based on Allorn Empire records, with only the past 300 years after Cataclysm being recorded mostly by Ailor. The Altalar historical periods are divided into a series of so called Calendar Cycles, because their Calendar is not the same as the Ailor Calendar (which marks the Cataclysm as the year 0). The first period in Altalar history is the Darkening, of which very little is known. Supposedly, the Altalar in this period lived in mud huts and mostly had a pre-civilized society of local tribes. This timespan is also difficult to date, because the ending is only clarified with The Awakening. Some of the year dating also seems to conflict with what modern scholars see as the ending of the Meraic Civilization, leading some to conclude that the Altalar and Meraic had some form of overlap or at least limited amount of contact. Why the Altalar were not destroyed during the Void Invasion that ended the Meraic Civilization is not clear. The Altalar of the Darkening era used a script called the Twi’von script, as well as the Twi’Alac language, both of which have yet to be translated. Even if translations were made, the records dating back from that time remain purely as very crude cave wall paintings, and many scholars consider this a pointless venture because savages have little to say to modern man. The second period in Altalar history is The Awakening. The Awakening is roughly dated based on the life of Talea Sunvidal, an Altalar mage who fought the World-Crown Wars and unified the smaller Altalar principalities, thus founding the Altalar Empire, which would later become known as the Allorn Empire. Both Allorn script and Allorn language are extremely convoluted, and while some basic translations of certain phrases in Allorn have been made, this language remains a great mystery to modern scholars. The problems of interpreting this language, or even its written form, is that most of the expressions require some sort of magical body language to be expressed, which has been lost to time, meaning part of the translation matrix is missing. Historical records from this time have mostly become oral tradition, as well as myth, meaning the fact is often hard to distinguish from legend, but most scholars assume that the vast majority of it is correct, even Ailor ones. The Awakening period starts in 2865 BC (Before the Cataclysm), from the supposed birth of Talea Sunvidal, until her death in 2500 BC. Talea Ilu Sunvidal was the Princess of Talea (back when in the Altalar lands, the naming custom was to have no first name save for the place where one comes from, and a middle name). She was an extremely gifted mage who had unparalleled control over both Void and Exist Magics, and acted as a prophetess to the Faith of Estel, which was rapidly replacing the old Altalar faith of the Moon-Well Goddess. The introduction of the Faith of Estel as well as the World-Crown Wars saw many if not all of the Altalar princpalities subjected to Talea, until Talea proclaimed the Allorn Empire, the first great civilized state after the collapse of the Meraic Civilization, and many ages before the first Ailor would even start up their first kingdoms. During the Awakening period, the Altalar holdings grew in size and their populations boomed until they eventually conflicted with the Javarindar—the predecessor of the modern Varran. This conflict lasted for the latter half of Talea’s life, until some years before her death. The war was supposedly won and the Javarindar were mass-enslaved to fuel the growth of the Allorn Empire. The exact process of the war was unclear, or even the exact length of it since battles occurred decades apart from one another. Still, historical narrative indicates that the Allorn Empire was mostly on the defensive, until World-Crowned Empress Talea defeated the Javarindar ruling caste in one major battle over their capital through her unmatched magics. Toward Talea’s deathmost of the Daen continent was controlled by the Altalar, who became the most populous race on the planet. Colonizers spread out far and wide and the arts of magic reached great heights under the tutelage of Talea’s apostles. When Talea died, it is said that Estel still walked among the Altalar, and raised her up to become the 9th Altalar Goddess of Unity, though she was never officially incorporated into the Inner or Outer Pantheons of the Faith of Estel. Regardless of the fact that there is no official worship of the Goddess Talea, the amount of shrines and blessings in her name still far outnumber the other deities among the Altalar, even if the Yanar, Cielothar and Avanthar largely ignore her presence in the pantheon or outright deny it. The period after Talea’s death is called the Consolidation, which lasted from roughly 2500 until 1500 BC. The Consolidation is named such because it determined most of what the Allorn Empire would function like, and how the people saw themselves. The Consolidation is the first period in which the now dead language Ancient Altalar was developed and used. Modern scholars have difficulty translating this language because of its complex grammatical structure, and any would-be linguist wishing to be able to read this ancient script should spend many years educating themselves. During the Consolidation, the Allorn Empire is known to have gone through its “Golden Millenium” where it faced no internal strife or external threats. No wars were waged with any foreign powers and the succession of power was flawlessly adhered to after the death of Empress Talea. Altalar culture blossomed and the high arts were developed that would last the centuries. The period immediately after the Consolidation is called the Floundering, which is a dark chapter in Altalar history. During the Floundering, Altalar society was wracked with intrigue and social unrest because of severe overpopulation. The urban centers of the Allorn Empire became so massive and overpopulated that resource struggles and border conflicts frequently occurred between the Altalar princes and princesses of the realm. Many local lords competed over the increasingly infertile lands, holy groves of Estel were also targeted for agricultural use. This also caused the first signs of religious degradation as the strict Faith of Estel decreased in importance of everyday life for the Altalar. This period lasted relatively short, from 1500 BC to 1300 BC, but it had a profound impact on the hampering problems of the Allorn Empire in the centuries to follow, and would eventually lay the foundation for the destruction of the Empire as a whole. During the Floundering, Middle Altalar as a language was developed to accommodate the rising need for fast communication between soldiers and their generals. This language has largely fallen out of style save for some of the Altalar sub-races who live on the fringes of the remnants of the Allorn Empire, or in isolated communities like the Isldar. After the Floundering starts the Grandening, which covers a period from 1300 BC until around 700 BC. The Grandening is, in a way, a continuation of the Floundering, but in a far messy and chaotic manner. Instead of waging war on one another, the royalty of the local realms chose to engage in high-level politics, intrigue, and espionage to get the job done. While the Grandening was not in any way less savage than the Floundering, Altalar still look relatively positively on this period, as the amount of political strife which was kept mostly in words, and the arts of politics set the stage for all future political techniques, even among the Regalian Empire. In fact, political machinations during this era became so prolific that for a long time after the fall of the Allorn Empire, Altalar politics remained the go-to style of rule in many other lands among other races. During the Grandening, the concept of the Altalar cultism grew exponentially, resulting in many influential and wealthy Altalar starting or joining specific cults which had certain views on the world for the sake of political networking. This is where the early forerunners of the Voltalar, Avanthar, Drowdar and Isldar come from. In part, it is also where the resistance movement that would eventually lead to the birth of the Cielothar came from. The population base of the Allorn Empire was absolutely massive, and not all of the population was as politically involved as the elite. Many of the lower classes and labor crews retained a sense of natural pacifism that would later give rise to the more peaceful-oriented movements in Altalar society. After the Grandening came the Blossoming period, which lasted from 700 BC until modern day. Why this period is called the Blossoming when during this period the most cataclysmic events of Altalar history transpired, is often unclear to outsiders. The specification has less to do with their misperception, and more to do with the Altalar not wanting to acknowledge the reality of events that transpired in the Allorn Empire as something of their own making, or as something officially part of Altalar historical narrative. To the Altalar, most of the events that transpired in the Blossoming are momentary obstacles that the Altalar will eventually overcome, even if the current situation is more bleak than hopeful. During the early years of the Blossoming, the concept of Altalar depravity became center stage. The ever-growing population started engaging in practices of moral and ethical corruption, hedonism, cruelty, and self-gratification that completely severed the upper classes of Altalar society from their religious roots. The Faith of Estel became ever weaker as the great Archmages of the Allorn Empire started using their gifts, once passed from Estel to Talea and from her apostles to their forefathers, to contain and otherwise strip Estel of her power to affect the mortal realm. Estel became a prisoner in her own world and the mages continued to tap essences from other realms to create ever greater powers for themselves. This is eventually also what gave rise to the intermixing of the ruling elite with the mages. Previously the Empire had harsh rules against mages becoming aristocracy as they fulfilled a largely priestly role early on, but by the Blossoming, the political intrigue of the nobles had become greatly affected by the magical exploits of the Archmages. They were capable plotters in and of themselves, armed with potent magics to turn the advantage to their hands, and this is also what spawned the early Mage Wars. The Mage Wars were an unofficial period from 450-250 BC where principalities waged many wars with one another, led largely by the Archmages who desired ever-increasing power. By this time, the Allorn Empire began a rapid decline. Colonization was brought to a halt, and slavery increased five-fold, in order to supplement the mass-sacrifice of Varran and Ailor slaves, who were slaughtered by the dozen almost daily. The Allorn Empire started cannibalizing its own power vacuum as grand regional lords started challenging the successor Empresses of the Allorn Empire to the point where even she became but a nominal figurehead. It was thus that during the Mage Wars, the Shadow Cults and Void Cults started forming, which would later give rise to the Kathar. Many of the cults which had been established before and wished for a purer Altalar society started seceding from the Empire, and a slow dragging quasi-civil war ignited towards the end of the Mage Wars called the Fracture of Allorn. Technically, this was not a true fracture, as the local provinces still proclaimed to be part of the Allorn Empire, but frequently, entire regions would simply disconnect themselves. Trade and communications absolutely ceased, while borders were reinforced, barring all migration in and out. This could both be a good thing, or a bad thing. In the case of the Isldar and Dregodar, it led to the segregation of their societies in a clean severance, which led them to establish their own dominions independent from the power struggles in Daen. For the central political realms, however, this was an absolute catastrophe. The hands of the Daughters of Chaos and the Sons of Malice reached into every court of the central principalities, turning them against one another and corrupting the leading aristocrats into cults of debauchery, a prelude to their Void Worshiping ways. Some years before Cataclysm, Estel tried to save her people with her stewards, the Nenya trees and the Yanar which were created, but it was all for naught. They were able to save few societies by fleeing into what little forests were left until the Void Invasion broke out. On the subject of the Void Invasion, many Altalar scholars disagree with Ailor scholars. The Altalar point of view is that the Void Invasion started because the Void had become enraged by the power of the Altalar, and that the Archmages were able to compete even with the Arken in power. Ailor scholars maintain that the Altalar abused the magical saturation of the world and caused the demon portals to open. Whatever the cause, portals did indeed open over Drowda, annihilating the local vassal race that lived this far north of the Allorn Empire, and starting a catastrophic war. The short years before the Cataclysm are considered the final years of the Allorn Empire, even if modern Altalar will proclaim that the Allorn Empire is still alive. All across the Empire, the Daughters of Chaos and the Sons of Malice unfolded and activated their plans to serve their demonic masters, either assassinating or corrupting local officials to serve their evil lords. Seduced by magical powers from beyond the mortal realm, as well as the presence of Arken, Altalar upper society tore itself apart as cults waged war on each other, and even the Allorn Empress could not properly summon her war host without it constantly breaking with infighting on route to the invasion. The Empress tried one last great gamble to fight off the Void Invasion, though both Ailor and Altalar scholars agree in modern times that winning this war was hopeless from the start. Obviously, the battle was a complete massacre, and while it still stands in history as having the largest army in the field (300,000 in total, with uncountable Demons), the entire army was eradicated, including the Empress. It was during this period that other forces laid waste to Estel one final time in an attempt to shut off the demon portals, and succeeded. It is theorized that in her waning moments, Estel caused the Wildering as the event is called in Altalar history that destroyed most of the fragments that had remained of the Altalar Allorn Empire. The Wildering is an event that coincided with the Cataclysm, but was exceptionally violent and deadly in the Allorn Empire. While the rest of the world was wracked with earthquakes, volcanoes, tsunamis and landslides, the Allorn Empire had to contest with nature itself turning against civilization. The Wildering represented a short period in which nature rapidly grew, retaking lands that had once been claimed by the Allorn Empire and even turned on the Elves residing there. In a matter of mere moments, tendrils of ancient trees lashed out against the marble city walls of the Allorn principalities, trees and plants sprouted from buildings, crashed through windows, and tore whole foundations apart. Farms were uprooted, towers fell and whole states were swallowed by the jungles. Even the people were not safe. There have been records made of some individuals in the particularly badly affected areas spontaneously turning into bushes or trees—entire populations disappeared in the blink of an eye. Exact casualty counts are unknown, though cautious estimations among Ailor scholars put the death count somewhere above 40 million. Most of the interior states were lost to the jungles, the Hortutor wilds swallowed the vast majority of the wealthy eastern and northern states, while the coastlines and wealthy merchant cities were lashed with massive torrents of ocean water. Even the royal city of Alar Talea was utterly destroyed—a massive earthquake swallowed the palace-city whole, killing most of Talea’s descendants. What remained of Talea’s bloodline were merely the male princes, the female line having seemingly been extinguished. These last male princes, already hopelessly corrupted by the Void worshipers, started a civil war amongst themselves to squabble over the remains of the Allorn Empire, only to have the Orcs invade just when they were about to complete their carnage on one another, and be utterly wiped out. The Orcs then continued to cause another period of mass-depopulation and destruction as they pillaged their way to the center of the Hortutor Lands, until eventually, they too succumbed to infighting and an uneasy peace settled on the Daen landmass. After all the cataclysmic events that had befallen the Allorn Empire, it was hopelessly shattered. The Arken and Kathar had created the Dread Empire to the southwest, while the Sundial Altalar declared their independence in the Sundial Isles. To the north, the successors of the Dregodar, the Voltalar had completed their rituals of binding and created a formidable Voltalar state, while to the far north and northeast, the Drowdar and Isldar had also departed from the Altalar sphere. In the Allorn heartland itself, most of the land was torn, what remained of the pre-Cielothar people became nomads and settled in the plains far from civilization. The Avanthar would eventually also form their official tribes, turned away from the urbanized style of the Altalar. The Archmages had all but disappeared; the Cataclysm sapped all Magic from the world. Great ruler princes, whose skill in arcane arts enabled them to shift mountains, were suddenly powerless, some even murdered by the lowly Varran slaves as many of the slave populations revolted against their Altalar masters, no longer capable of suppressing their large numbers. Ex-slave states such as Daenshore and Kilarallis were born in the chaos, while other regions (particularly Ithania) saw a more peaceful transition of power where the Altalar were aware that they could not resist a slave uprising, and handed away power in the hopes of being spared the same fate as the slave masters of the slave citadels. Modern Altalar are still the most populous race in the world, outnumbering the Ailor still, even in spite of the losses caused by the Wildering and the fractures that led to the other Elven races. Most of the coastal cities remain operational, and some of the coastal principalities are also still intact, if somewhat separated from one another by petty politics. The admiral princes of the naval cities remain the most powerful Altalar rulers, while the interior and inheritor states are often overlooked due to their sizes, sometimes only as large as a single city and a small strip of land surrounding it, unable to control the vast emptiness that lies in between them and the next city due to roving Avanthar and other beastly creatures that have overtaken the wilderness since the Wildering. Talea’s line remains extinguished and the Crown of the World somehow made its way back to the Altalar in the north.It was captured by the Regalian Empire during the Elven Wars, and remains a war token that is kept in the Imperial Archives. Most of the remains and ruins of the Allorn Empire remain exquisite. Hundreds of cities of white marble and stone lie frozen in an untouched state. They are so numerous that their ancient ruins are re-discovered near-weekly, and they are the resting place of an uncountable number of treasures and tomes. Some of them have also become dangerous homes to dangerous creatures, or protected by Altalar that have regressed to a wild state of savagery in the absence of civilization for so long. The treasures of the Altalar remain all around them, and ever so slowly, the remnants of the Allorn Empire are rebuilding, if somewhat slowly and hampered by continued politics, as well as struggles with the other Nelfin races. Altalar society is the highest of high class anyone would be able to find on Aloria. Millenia of sophistication and high court culture developed the most refined rituals, the most exquisite traits and the most praiseworthy crafts. Perhaps the greatest pride of the Altalar is their society. In a way, it is also their greatest curse. Altalar society is dogmatically rigid, and in and of itself encouraged the excesses and depravity that plagued the Allorn Empire in the closing decades of its existence. The heavy reliance on court intrigue and politics as well as competition among the great masters of their crafts make Altalar extremely susceptible to making bargains with otherworldly creatures and ancient beings of power. Altalar Society is centered around two ideals; the line of Talea, and the Altalar Cults. Even though the line of Talea is extinct, and has been since the Wildering, much of the pomp and splendor of the once-great line of mage-Empresses is kept alive for the sake of tradition, and because the Altalar believe that one day either a successor or a new mage-Empress will rise up to unify the wayward Altalar realms. At the top of the Allorn Empire once stood the mage-Empress, a powerful line of daughters directly descended from the first Empress Talea. These Empresses all had potent magical gifts and were selected from the previous Empress’s daughters. The Empress, however, always needed to remain celibate, so an intensely policial selection process was created among the princes of the lesser realms to allow them to be consort for a period of ten years. This election was always rife with intrigue, as whoever would-be elected to be the consort of the Empress, would gain a lot of power at court. The consort would then sire as many children as possible with the Empress, the carrying periods sped up by special magical wards of time magic in the chambers of the Empress, until she had at least 3 daughters and 3 sons, though many Empresses would go beyond this. The sons of the Empresses would create so-called Scalay lines, comparable to the noble cadet branches of Regalia. Scalay lines are not inherently noble, but functioned like the Allorn Imperial Guard, protecting the Empresses and their daughters from foreign threats. Dozens of Scalay lines still exist to this day, though they have lost all their functions aside from bragging rights over being descended from the first Empress Talea (Scalay lines are part of backstory Special Permissions). Of the daughters, they would all be raised to become mages, each showing magical capacity at a young age. The most powerful mage of the daughters would eventually be selected to become the next Empress, upon the death of the last. This is not where all court intrigue ended, however. Daughters would frequently attempt to compete with one another for the crown, and outsiders would also favor candidates to the throne. When the Empress finally died, their heir was supposed to step through the crown wards in the coronation chamber which were placed by the last Empress. These wards would normally stop an intruder from entering, but nefarious Archmages would attempt to affect the election by disrupting the wards or turning them against the chosen heir, thus allowing their candidate to enter instead. More than once has an Empress’ chosen lineage been overturned by the meddling of Archmages. Beneath the Empress are the regional Princes and Princesses. Altalar rule is gender-blind, meaning the firstborn child would always inherit a local realm from their ruling parent. Local realms were often a major city or temple with surrounding lands encapsulating a self-sustaining society, though trade did occur between them. They all owed allegiance to the Empress at court, though feudal relationship between the Princes, Princesses, and the Empress was far more toned down than the modern feudal relations in the Regalian Empire. The Princes and Princesses did not pay taxes or contribute to the Allorn Empire state as a whole; rather, they were obligated to travel to the capital every 10 years to pay homage to the Empress with offerings to the great temple of Talea. For some of the northern princes, the travel alone almost took 2 years, meaning some Princes were often more on the road traveling than actually ruling, which also contributed to the independence-minded attitude of the northern realms. The descendants of the Princes and Princesses still rule the independent realms of modern times. There is a variant called the Admiral Prince or Admiral Princess, which are the rulers of the coastal cities. Along with ruling their realm, they are also all part of a more closed organization which is responsible for the enslavement of other races. Beneath the Princes and Princesses were the Conduits, who acted like bureaucrats of the modern Regalian Empire, enforcing the law of their respective realms and applying taxes and tributes where necessary. Taxes were very rare in the Allorn Empire, because the Altalar functioned through a system of wilful tribute. If a ruler was performing well, it was considered religious duty for the people to provide tributes in thanks, and if the ruler was performing poorly, no tributes were given. In the Empire’s early history, this method of tribute often resulted in competent, good leaders, who focused on their people. After the Floundering, however, the common folk were often forced to pay tribute by cruel tyrants, who enforced their rules with the use of magic. There also exists an unofficial caste of mages called the Archmages and the Lesser Mages. The Lesser Mages are a caste of people much like modern day mages, individuals who simply show magical capacity and have learned to harness it to gain special skills or traits. Archmages however were on a whole other level, having mastered magic like no normal Lesser Mage could. Archmages started interfering with politics around the Floundering, and while they did not have any official ranks in politics, they were essentially in control of much of the Allorn Empire until the collapse of the Void Invasion and the Wildering. Finally below the Mages exist the craftsmen, which are practically every other Altalar who is neither a ruler or a mage. Every Altalar is a craftsman of something, which can include warfare or cultural arts like singing or music, alongside the more classically craft-related occupations like carpentry or masonry. Altalar live such long lives that there is a cultural expectation of them to fulfill some sort of craft role to contribute to society. It is true that outcasts and brigands also existed, but they were never formally recognized or part of Altalar society and many still pretend they did not exist at all, and that everyone in Altalar society was a very productive individual. Much of these caste limitations were rendered obsolete by the concept of the Altalar Cults however, groups of people from multiple castes coming together to support one major ideology. Most of these cults exist to this day, and membership of one of them is almost mandatory to function as an Altalar in Altalar society, since they are what gives the necessary networking in a cutthroat society such as the Altalar. One art critic can utterly destroy the work of a budding artist. The Cult of Shadows was the forerunner of the Kathar as well as all other Void-related cults such as the Daughters of Chaos, the Sons of Malice and the Princes of Osc’ïrd. The Cult of Shadows mostly owed its name to the fact that their practices were confined to the shadows during the middle centuries of the Allorn Empire, when most of society was still very much against the depravity and Void Worship that they engaged in. It was the first cult that turned away from Estel Worship. The Cult of Shadows is practically dead in modern times, having been replaced with far more aggressive Void Worship cults with clearer goals and tenets. The Daughters of Chaos was a cult created out of a split-off of the Cult of Shadows, supposedly founded by two embittered daughters of a late Empress who were passed over from the crown. The Daughters of Chaos are said to be mostly responsible for the Floundering, as many of the Archmages who engaged in political intrigue were either female members of their female-only cult, or male Archmages seduced by their promises of everlasting pleasure and satisfaction at the hands of the seducers of the Void. The Daughters of Chaos believe in a world ruled by women, yet by rule of strength and influence, not by tradition and law as is prescribed by the Allorn Empire’s law books. The Daughters of Chaos frequently engage in sacrificial acts, particularly on men. The Sons of Malice are like the Daughters of Chaos, a splinter organization formed out of the Cult of Shadows, but with a far more chaotic nature (unlike the name contrast implies). The Sons of Malice believe in an anarchic society where everyone just takes and does what they want, regardless of, or frequently in spite of, the effects on the lives of others. The Sons of Malice can mostly be found among brigands, criminals and murderers who barter their soul and emotions away for demonic blessings. The Cult of Drogon was once a cult that concerned itself with the protection of the Dragons in the Allorn Empire as blessed beasts, contesting the Cult of Shadows’s desire to annihilate them all. The Cult of Drogon controlled specific Draconic strongholds where they kept the Nightdrakes safe from the Cult of Shadows, and were able to ride out most of the troublesome years of the Allorn Empire without much issue. Some decades before the Wildering, what would later be known as the Isldar portion of the Cult of Drogon split off from the main body and took some Dragons to the north to keep them safe outside of the bounds of the Allorn Empire. What remained of the cult eventually moved north and adopted a new tactic of absorbing the Dragons into the Nelfin ancestry to keep them safe among the Altalar, which inadvertently made them the Voltalar, the Dragon Elves. The Cult of Drogon is essentially extinct in the modern day, though it still exists to an extent within the Disciples of Isldar and the Disciples of Voltalar, whose views on the preservation of Dragons are polar at best. The Princes of Osc’ïrd was a cult for the aristocracy of the Osc’ïrd Isles and regions, which would later give rise to the Dread Empire. The Princes of Osc’ïrd were functionally very similar to a combination of both the Daughters of Chaos and the Sons of Malice, while also maintaining the old principles of the Cult of Shadows. In many ways, this cult is the penultimate Void Worship cult among Altalar, but it has long passed from the Altalar into the Kathar realm. A ritual conducted by the Princes of Osc’ïrd ultimately transforms an Altalar into Kathar, usually a Disciple of Saivale Kathar. The Cult of Ciellonia is one of the more wholesome Altalar cults not hellbent on self-gratification, and rather on a more connected way of living with nature and the wilderness around one’s self. The Cult of Ciellonia professes love for plantlife and animals in all equality as children of Estel, and states the greater need of returning to the forest for the Altalar. The Cult of Ciellonia gave rise to the Cielothar after Cataclysm, but many Altalar still follow the ideals set out by the Cult, and would later give rise to the Altalar Rangers. The Cult of Dronnal is a dogmatic cult of militarily-inclined Altalar who previously believed that all the politicking and cultural engagement of the Altalar was fleeting and weak, and that the only way to move Altalar society forward was to focus on military training and conquest. Later, towards the end of the Allorn Empire, the Cult of Dronnal would adopt strong anti-demonic and Cult of Shadows stances to the point that one could say the Cult of Dronnal is chiefly a cult that fights the presence of Void Worship in the remnants of the Allorn Empire. Even though most of the Cult of Dronnal left to join the Sihndar, some still remain in Daendroc. The Cult of Suel is often seen as a controversial cult, because it professes the need to “evolve” Altalar kind through selective breeding, eugenics and even magical interference with childbirth and creation. The Cult of Suel would later give birth to the Avanthar, sturdier and stronger Altalar who nonetheless embraced a wilder lifestyle in the post-Wildering wrecked heartlands. The Cult of Suel is more than just that however, attracting also the intellectuals and Mages of Altalar society who wish to network and gain more information in whatever they are researching in a cult that praises experimentation over everything. The Cult of Talea is the simplest of cults one can approach, and is commonly referred to as the Loyalist Cult. The Cult of Talea simply stands for Altalar conservatism, Altalar who believe everything should be the way it was under Talea, and that anything outside of that norm is an aberration. They are generally against the existence of every other Cult, and want to get rid of the Cult Culture altogether. Altalar Culture is expansive, host to a wide range of highly developed arts and traditions that have millennia of history. The most noteworthy points about Altalar culture are the proliferation of magical arts in their everyday life. Whereas in Regalia, magic is forbidden and heavily regulated, magic among the Altalar is highly praised as an art, allowed and encouraged to flourish without constraint. Magic is practically everywhere, and families with Mages are expected to receive many great blessings in their lives. Altalar clothing is also of exquisite style and quality, their threads unmatched in durability and natural beauty, while their silver and gold weave are extremely refined. Their clothing is so intricately woven with the most glittering of Silver and Gold thread that it is said to sparkle under the sun, perfectly accentuating their long flowing hair which is often kept long and straight as a sign of natural beauty and affluence. Indeed, the most humiliating act that could be forced onto an Altalar is to shave them bald. Altalar cuisine has a surprisingly great lacking of cattle meat-based dishes, though what they are able to do with greenery and fish exceeds the palates and skills of most other races. Their arts are equally refined, using even magical inks, dyes and paint to bring artwork to life, quite literally, mastering the art of living paintings. They dedicate decades to marble behemoths; statues of intensely detailed white marble, down to the fingerprints and creases on the fingertips. Altalar singers are similarly praised to have the purest and most naturally harmonious voices on Aloria, able to bring even the most raging of beasts to tears (though the latter is mostly just a myth, since singing is not a valid defence against an Orc raid). By far, the cultural aspect that the Altalar are proudest of, is their poetry and literature. Altalar libraries and archives are the largest of the world, and many more archives of the old Allorn Empire still lay ruined and untouched for centuries since the Wildering, holding within them ancient tales of times long since passed. Altalar culture is so refined that even the lowest classes of their society engage in the high arts, so much so to that destitution and poverty practically do not exist in the Altalar sphere. To some Jacobin elements, Altalar society is held up as the perfect ideal where the pay gap between the poor and wealth is nonexistent, but this is often a critical miscalculation; examples of the poor and the unable in Altalar society are simply not included in the calculations of their society. To this extent, those who do fall into such conditions tend to become brigands or criminals at best, sometimes hermits in lost jungles and swamps, or, at the very worst, simply die, for a lack of hope of ever achieving anything. Altalar culture in many ways is the story of the rise and fall of a great many artists, overtaken by their pupils, murdered by angry patrons, or simply put out of business because they said the wrong thing at the wrong time. Altalar put great emphasis in the meaning of word, and while some races might say very little, Altalar can and will infer a lot of intention behind a few words. Whole wars have been fought over the slightest of verbal insult, so great care should be made when speaking to an Altalar in a critical manner. The Altalar faith is commonly referred to as the Faith of Estel even though it is not the same as the Faith of Estel followed by the Yanar, Avanthar, or even the Cielothar. While the Avanthar have a different pantheon and the Cielothar and Yanar put more emphasis on the Estel section of the faith, the Altalar put more emphasis on their Inner and Outer Pantheons. Though these pantheons are roughly the same as the Cielothar and Yanar pantheons with translatable gods who serve similar functions, an Altalar will often be found saying prayers to the Inner Pantheon gods far more frequently than to Estel as a whole. Estel is the all-creator in the Altalar belief, but also the ward of divinity who passed the realm of mortals down to her inner and outer courts, each of which contain four gods. The inner court is often favored over the outer court, because the outer courts is what is considered Dark Gods, gods who rule the less favorable side of the virtues of the Altalar and life in general. Ulley is the Lord of Protection and is often depicted as a tall male Altalar of great beauty with long flowing hair that touches the ground. He is dressed in richly decorated robes and is depicted as holding the sceptre of justice. The Lord of Protection is prayed to when facing Demonic forces, beastly creatures, general warfare, or any sort of trial in life. The Altalar believe that the Lord of Protection grants physical protection from harm and magical protection from evil. Prayers to the Lord of Protection are done through an Ulley shrine, which is a small birdhouse-like structure with a golden coin in the middle that is struck three times with a small hammer before the prayer is said. Ellea is the Lady of Everchanging and is often depicted as either a wolf with wings and antlers or as a maiden in a very light silken dress that always floats or flies in some manner. The Lady of Everchanging, despite being part of the inner court, is rarely worshiped because her unstable, ever-changing nature is disruptive to the more continuity-praising Altalar. That being said, the Altalar do say prayers to her for protection of said continuity, not for the sake of receiving her blessings, but for the sake of staving off her wrath. Prayers said to the Lady of Everchanging are usually done by burning forest leaves and twigs in a bowl. Vallea is the Commander of Power and is depicted as a very strong female Altalar warrior lifting a heavy boulder decorated by carvings of the landmasses and borders of the Allorn Empire. Vallea is prayed to whenever the Altalar are expected to perform a feat outside of their means, asking for her divine blessing for greater strength or intellect. Prayers said to Vallea can be done anywhere, simply by picking up a hand full of sand, spreading it in the wind, after which clapping seven times and saying a prayer. Sca’Elle is the Master of Magnificence and is often depicted as an unnaturally tall, frail, and thin Altalar with an extremely long white beard that is twice the length of his body. Worship of Sca’Elle is done through the act of crafting, which is why when Altalar weave, write, sculpt, or do any form of crafts, they usually mutter prayers to Sca’Elle with every stroke of the pen, hammer strike, or movement in their art. Asc’tea is the Connivance of Persuasion and is usually depicted as a reclining or lounging Altalar woman with long hair that flows from her head and forms a dress around her otherwise-naked form. The Connivance of Persuasion is not worshiped openly because her arts of seduction, theft, and deception are considered vices among the Altalar. Still, when praying to her for success in such actions, the Altalar often promise a part of what they intend to take from others up as an offering to Asc’tea. Tal’Sieth is the Stalwart of Guardianship and, strangely enough, is often not as an Altalar, but rather as a brutish, savage, and hairy Ailor. Tal’Sieth does not have a physical form in the Altalar Pantheon but instead acts as a spiritual guide for the protection of Altalar from the brutality outside of their society. Tal’Sieth is not officially prayed to but those who have chosen him as their patron sing the song of Khal during combat, giving up every kill or wounded foe as a sacrifice to Tal’Sieth to satiate his hunger for outsiders, which in turn makes him stronger against the barbarians. Ammu-Loa is the Compatriot of the Dead, and unofficially also of the sick. She is not worshiped to, because she is in essence what brings the Altalar to the Altalar afterlife, the River of Contemplation. In the Altalar afterlife, the River of Contemplation is a never-ending river where the Altalar relive their memories over and over into infinity or until the world should end. Ammu-Loa is the boatswoman, and as such steers the gondolas of the dead. She is supposedly also on the bedside of the sick, so she is rarely prayed to to keep a sick Altalar from expiring before their time, to hold off the passage of the gondola of the dead for a little while longer. This is usually done by sacrificing other living things in their stead. Cae-Maen is generally seen as the less controversial of the outer court of the Altalar Pantheon, but she is still rarely worshiped, because she expresses certain virtues which the Altalar see as vices, namely compassion, charity, self-sacrifice, and self-loathing. She is not actively worshiped in any form and there are no known means of prayer to her. Those who take her as a patron do so willingly and knowing that it will likely result in them being seen as viced individuals, weak Altalar who would not function well in Altalar society. As such, outsiders and outcasts frequently opt to choose her as their patron. The Altalar economy is largely based on what they can sell from their own crafts. The Altalar don’t truly have a currency, but they do have a form of paper promissory notes called “Vaïel Promises”. While these aren’t a real currency, cannot be exchanged with others and don’t have a set monetary value, they are promissory notes of favors in the distant future and can be cashed in when required by the owner, and can be considered essentially as “IOUs”, by Ailor standards. All other trade occurs purely in barter form and external trade outside the remnants of the Allorn Empire is nearly nonexistent. The Altalar do not need much from the outside world and they also dislike the idea of their items falling in the hands of non-Altalar. They do engage in some trade with the Cielothar and Avanthar but even then this contact is minimal because the Altalar dislike the “split off Talar” races. What little export of artifacts and Altalar items occurs is mostly done by Ailor scavengers who raid tombs and steal from forgotten jungle temples and cities. Despite their defeats in recent history, the Altalar race counts some of the world’s most talented champion fighters among their number. They have honed their combat skills over centuries of learning and experience, far out-stripping other races. If the world still fought by the old principles of formation tactics, the Altalar would soundly defeat all other armies in the field each and every time. However, with modernization new styles of combat - particularly of the Regalian Empire, with its cannons and mortars - have overtaken Altalar armies in combat efficiency. From the infantry perspective, however, an Altalar warrior is far more combat effective than any other being, outclassed only by the Orcs and Url, even if only due to their vastly superior strength. They have developed their own combat techniques based on unique weapons of the Altalar Singing Bow, the Altalar Gallop Lance, the Altalar Glaive Sword, and the Altalar Scalay Spear as well as the Altalar Charay Shield. These weapons are all combined into the proficiency called Altalar Martial Proficiency, which is a skill only the Altalar can learn, as Altalar weapons are attuned to only their racial proportions and the blessings of their gods. For more information about Altalar Martial Proficiency, refer to the Proficiency page. The Altalar also developed a special kind of metal- another blessing from their gods - called Nightsilver. Nightsilver is a unique substance made out of magically blessed and chemically altered metals that form a brilliantly shining scale-mail, which is as light and flexible as silk but as tough as steel. Nightsilver armor allows Altalar warriors to avoid sacrificing the slightest bit of agility in combat. Furthermore, weapons can also be produced out of Nightsilver. Although weapons made out of Nightsilver do not have the same properties as finely crafted armor, these weapons have a dark crystalline blue color leave behind a trail of gentle sparkles reminiscent of stars in the night sky when wielded, hence the name. Despite all this martial prowess however, Altalar remain a rather fragile race. Due to their longevity, Altalar have very narrow views of what the right martial strategy should be, and lack the versatile flexibility of other races who can make in-the-moment decisions. Furthermore, once their armor has been stripped, Altalar are one of the frailest races in existence. While an adequately armed and well-armored Altalar may outclass most other foes in combat, an Altalar without them is practically worthless, exceptionally vulnerable to Unarmed Combat techniques. The Altalar are often referred to as “Knife Ears” due to the pointed nature of their ears. This is commonly used as a base insult by Ailor, and Altalar find it insulting not because of its insulting nature, but because of the low amount of effort put into the insult. Wall carvings from the Ancient Altalar Empire suggest that the Nelfin once had significantly longer ears that have grown smaller over the years. Altalar society is incredibly fractured while the Crown of the World, the same crown worn by Empress Talea, is still in Regalian hands, where it is undeservedly treated as a war-time trinket of such low value that it remains hidden in a dusty vault in the Imperial Palace.